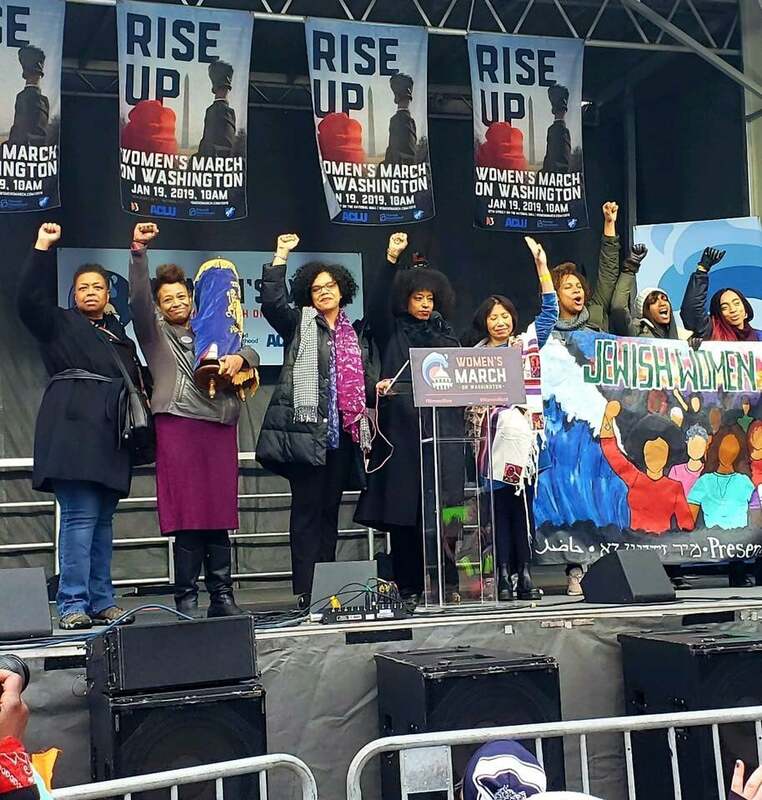 On Saturday, January 19th, a contingent of Jewish women of color took to the streets of Washington, D.C., marching alongside the national co-chairs of the Women’s March, Linda Sarsour, Tamika Mallory, Carmen Perez, and Bob Bland. This support for the Women’s March comes amid a storm of allegations of anti-semitism directed at the co-chairs. These allegations are most often directed towards Tamika Mallory and Linda Sarsour, who are both accused of supporting Nation of Islam leader Louis Farrakhan’s anti-semitic statements. As a result, many Jewish women opted out of the protest, choosing either to stay home or participate in other events. But many white Jewish women also felt that this discussion had become unhealthy and counter-productive to stated goals of unity, like writer and editor Sarah Seltzer, who wrote that white Jewish woman should stay in conversation with the Women’s March, because “White American Jews must reckon with the fact that we haven’t necessarily earned the right to be accepted off the bat as natural comrades to people of color.” Even though there were many white voices who felt this way, the prevailing perception was Jewish women of color were a bit alone in their rejection of the anti-blackness and Islamaphobia that had seeped into legitimate criticism of the Women’s March. And it is precisely this anti-Blackness that served as an impetus for JWOC marching (Jewish women of color). One of the new members of the Women’s March Steering Committee, transgender Jewish woman Abby Stein, feels that the only way to address that legitimate criticism is to work together, telling Now This News that “ We’re coming together with unity, not uniformity.” Yavilah McCoy, a Black Jewish woman and another new member of the Women’s March Steering Committee, told ESSENCE that she hopes her decision to march will bring compassion and healing. “We [JWOC marching] have made the decision to stand in the light, affirming what we stand for, not against.” And when other Jewish women of color were asked about their decision to march, their reasons were quite varied. But all desired the opportunity to express their agency as Jewish women of color – an agency many feel is too often taken from them within their Jewish communities. 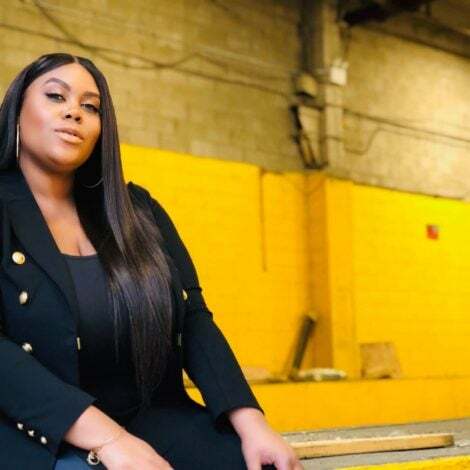 McCoy and April Baskin, another Black Jewish community leader who is part of the new Steering Committee, have been organizing Jewish women of color for years. In particular McCoy’s project, the Jewish Women of Color Resiliency Circle aims to provide spaces where Jewish women of color can commune with each other and express their own agency – an agency many feel their Jewish communities attempt to take from them, by ignoring their concerns of racism and “translating” their identities and voices through a lens of whiteness. 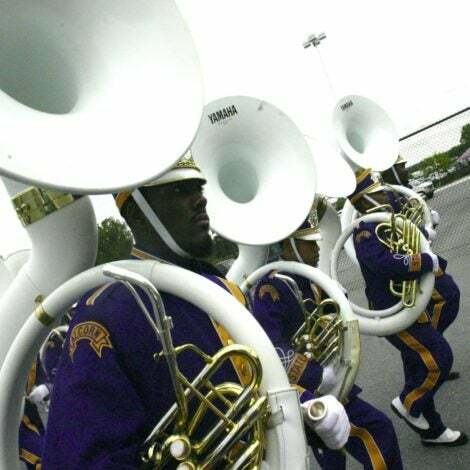 “#JWOCMARCHING is about JWOC empowerment in the community, wherever possible it’s important that our families not reduce our bold and courageous existence to talking points regarding the Women’s March controversy,” McCoy stated. But of course, like any group, Jewish women of color are not a monolith. 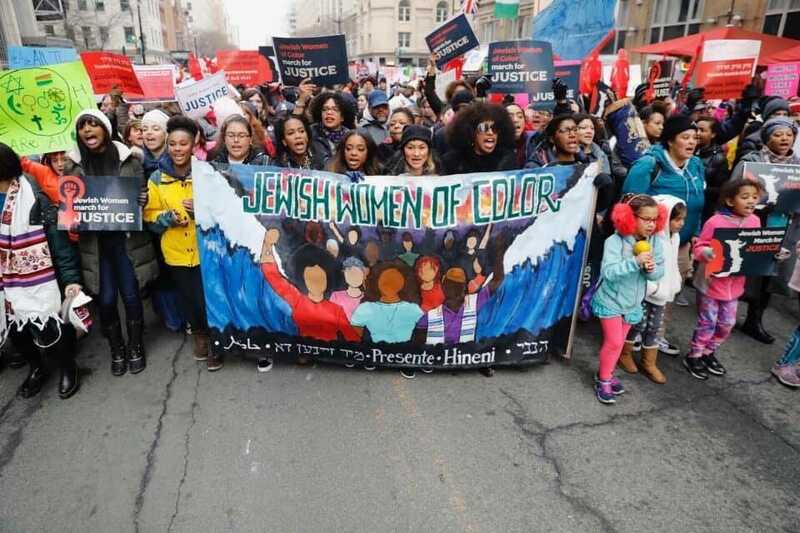 One of the women interviewed for this article, who identifies as a Black, biracial Jewish woman, reported being uncomfortable with the optics, stating that having the Jewish women of color leading the march might have been exploitative on the co-chairs’ part because it “seemed like an overcorrection.” Another Black Jewish woman worried that it would appear as if Jewish women of color didn’t actually object to Farrakhan’s statements. Yet another one said that although the overreaction to Mallory’s actions was overblown and racist, marching with the Women’s March was a useless endeavor because she didn’t think the organization could bring about real change. Others were simply scared of the pushback they would receive from the predominately white-identifying Jewish communities they were part of. And some of that backlash has already surfaced. Debra Nussbaum Cohen wrote an op-ed in the Jewish Journal, lamenting the “exclusion” of white, cisgender Jewish women from the Women’s March Steering Committee. 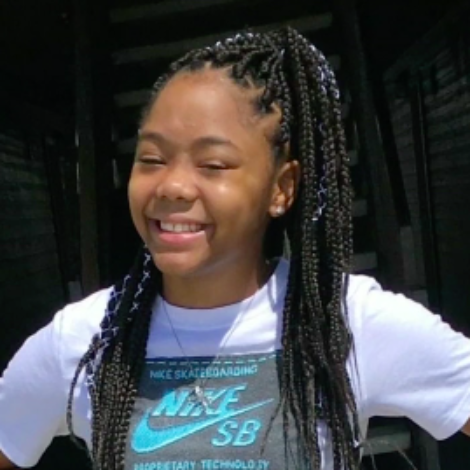 For her, two Black Jewish women and one white transgender Jewish woman could not represent the Jewish community accurately because of their marginalized identities. Others, such as journalist Jonathan Katz, heavily criticized the women for marching on Shabbat (the Jewish holy day which lasts from sundown on Friday to sunset on Saturday), despite the fact that one of our most respected and oft-mentioned Jewish figures, Rabbi Abraham Heschel, also marched with Dr. Martin Luther King on Shabbat. The racial disparity between how the Jewish community appears to view the Women’s March highlights several issues we have with race and activism. We tend to view identity groups as homogenous, which meant that a lot of Jews of Color were getting talked over, and there also wasn’t enough validation of the legitimate concerns that other Jewish people had with the Women’s March. It also reinforced the use of “purity tests” in liberal social justice spaces, meaning that people were calling for the removal of the Women’s March co-chairs, but did not attempt to find common ground or understand them. It is unclear whether the presence of these Jewish women of color at the Women’s March will result in action or healing. I am eager to find out. But this conflict and the subsequent attempts to repair it revealed a lot to me about the nuances and diversity of Jewish identity, the destructive power of the white racial lens, the intra-community race problems that Jews of color deal with, the erasure of concerns of anti-semitism in mainstream American politics, and the ungodly power that Louis Farrakhan still has to destroy cross-racial solidarity movements before they even start.